Rubber Factory presents a special exhibition highlighting the refugee crisis through the work of the artist Elliot Ross and the collective Magna Carta. At The Gate will include an immersive video installation courtesy of Magna Carta in our main room with a series of panels creating a walkable maze of imagery. Interviews with refugees will be inter-spliced with environmental shots of the ocean, the camps and the living quarters in order to physicalize these seemingly faraway displacements. 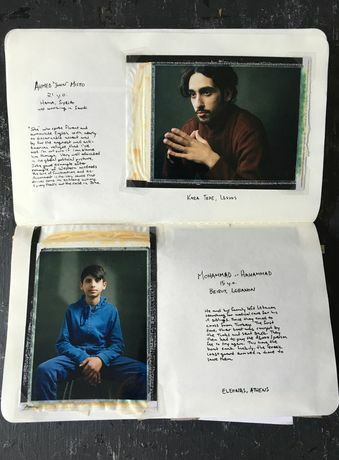 Elliot Ross's polaroid and digital prints will populate a separate space, providing a more contemplative space to experience the narratives of each refugee.